If you’re looking for affordable pre-owned cars near Houston with plenty of miles still to go, then check out our lineup of 121 used cars for sale near Houston at Clear Lake CJDR. 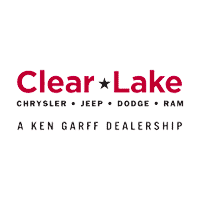 Check Out Our Pre-Owned Cars for Sale Near Clear Lake! At our dealership, you’ll find a number of used Jeep, Dodge, Chrysler, and Ram vehicles for sale, including a number of Certified Pre-Owned vehicles. Check out our current lineup of affordably price used models, value your trade online, and then make the trip from Pearland to our dealership for a test drive! All the pre-owned cars for sale near League City on the lot Clear Lake CJDR have undergone a quality assurance inspection. And when you choose to buy used from our dealership, you’ll also have access to the other services at our dealership, including a professional body shop, a team of certified technicians, and Mopar® parts with warranty coverage.